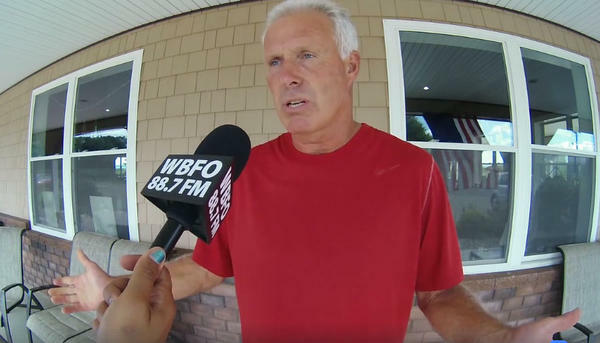 Mike Jordan talks about climate change's impact. 21 Brix Winery and farms in western New York. Reports on climate change often highlight the impact to America's coastal cities. But plants, crops and trees are also at risk -- and the harm can spread well beyond field and forest. PORTLAND, N.Y. -- Just a few miles from Lake Erie, farmer Mike Jordan takes me on a walk through his vineyard. On a work utility vehicle we move through the rows of vines bursting with purple and high yellow grapes. The rows are long and most of the leaves are lush and green. But, at one stop he points out a damaged leaf,that has a thin layer of white fluff dotting its surface. “Now, that’s powdery mildew on the leaf area, this white stuff,” he says. “If it was extremely heavy, every leaf was covered solid with it, it might be a concern, but at this point they’ll ripen just fine." Problems from disease, like powdery mildew, and pests arise when temperatures extremes become the new way of life. And Jordan is seeing the effects of that climate change in western New York. “This year had very good growing conditions, even for insects and diseases. The vines have done very well this year,” he says. Recent years have been some of the warmest globally. And Jordan remembers well the extreme weather that hit his farm. “We’ve had a very mild winter [in 2016] so almost everything survived,” he said. “But prior to that, the winter of 2014 to 2015, were extremely cold temperatures that I’ve never seen before. He's a partner in 21 Brix Winery and co-owner of the Olde Chautauqua Farms. It’s a family operation and they own about 300 acres. 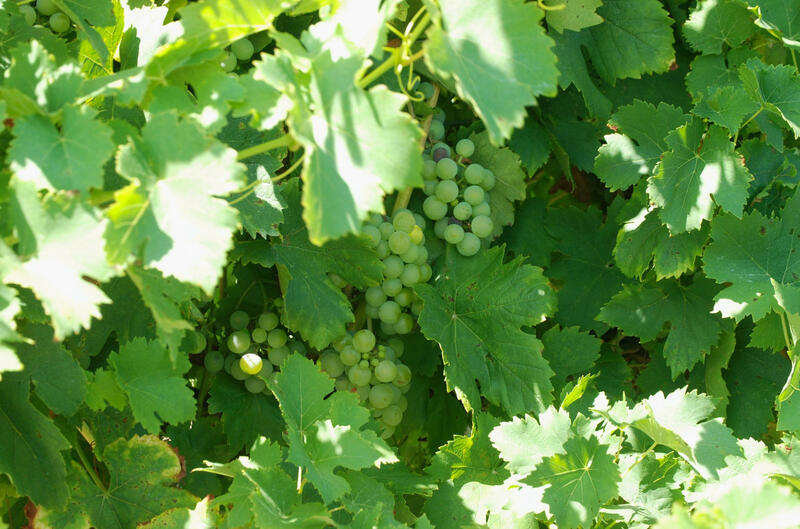 They grow a variety of grapes, including Concord for Welch's grape juice and Riesling for wine. 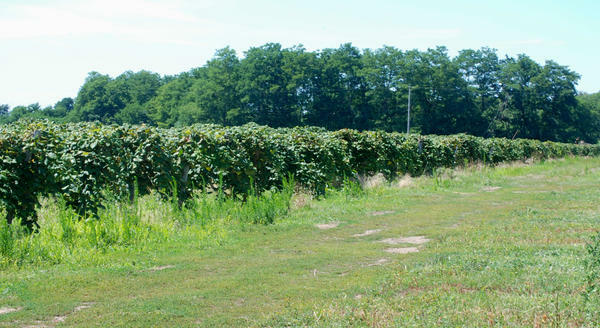 The vineyard is one of dozens along the Lake Erie Concord Grape Belt, which starts in western New York and extends to Pennsylvania. The area is known as the oldest and largest Concord grape region in the world. And it depends on Lake Erie to moderate temperatures. “The lake is was our great protector, was supposed to be our great protector,” says Tim Weigle of the Cornell Cooperative Extension’s Lake Erie Regional Grape Program. Weigle, who advises grape farmers and works with them on managing their crops, says the lake doesn’t freeze over like it used to. When temperatures are prematurely warm, crops come out of dormancy, making them vulnerable to frost. Each winter, farmers prune their vines. So, if they prune lots of buds and then lose some to a frost, the vines won't do so well in the spring. 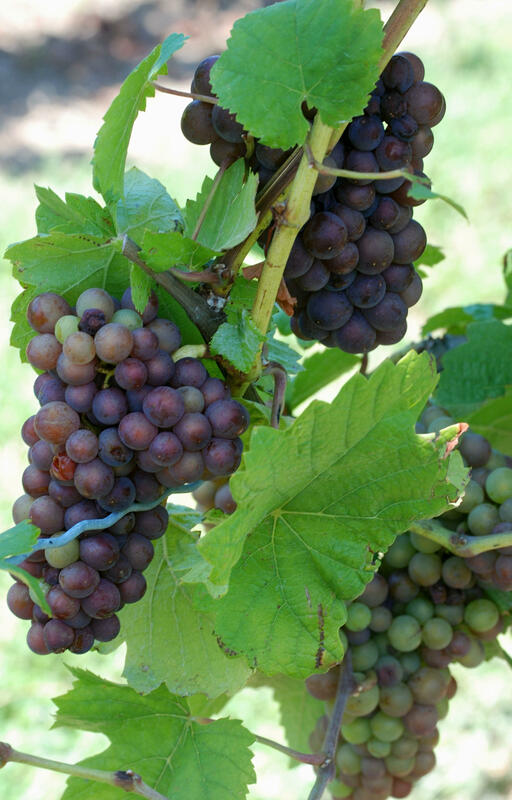 Climate trends also have caused farmers to change the types of grapes they grow. And part of that rethinking process includes the use of web-based technology -- like Cornell’s Climate Smart Farming program. It helps farmers better gauge growing conditions like freeze risk and drought. Allison Chatrchyan of Cornell's Climate Smart division, says they're in constant contact with farmers, helping them cope with climate change. “Nationally on average, a majority of farmers believe the climate is changing," she says. "The things that we are seeing in the Northeast are definitely more intense rainfall events and that leads to runoff and flooding." Chatrchyan says that when climate extremes cause hardships for farmers in one part of the country, others have to try to pick up the slack. Next: A look at climate change's impact on the northern forests of the Great Lakes region.